In 1989, at the age of 19, Ian Fountain became the youngest winner of the Arthur Rubinstein Piano Master Competition. Since then he has performed extensively throughout Europe, the USA, the UK and the Far East, with orchestras such as the London Symphony and Sir Colin Davis, the Israel Philharmonic and Zubin Mehta and the Czech Philharmonic and Jiri Belohlavek. He was invited to open the 1992/3 season of the Moscow Conservatory and marked the 150th anniversary of Chopin’s death by playing both Chopin concertos in Krakow. As recitalist, he has performed in major centers such as New York, Chicago, Paris, Berlin, Madrid and Jerusalem. He is a regular guest of international festivals, including Prague Spring, Berlin, Schleswig-Holstein, Enescu and Kuhmo. As an avid chamber musician, he enjoys long-standing collaborations with David Geringas, Ulf Hoelscher, and the Mandelring and Emperor Quartets, appearing throughout Europe, Japan and Korea. He has recently also embarked on performances as conductor, in particular directing from the keyboard. 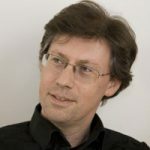 Ian Fountain has made several critically acclaimed recordings, including 20th Century Piano Sonatas and the complete works of Rachmaninov, Beethoven and Mendelssohn with David Geringas. In 2008, he has collaborated in the forthcoming edition of Beethoven’s sonatas for piano and cello to be published by Henle Verlag, Munich. Since 2001, he has been a piano professor at the Royal Academy of Music, London.